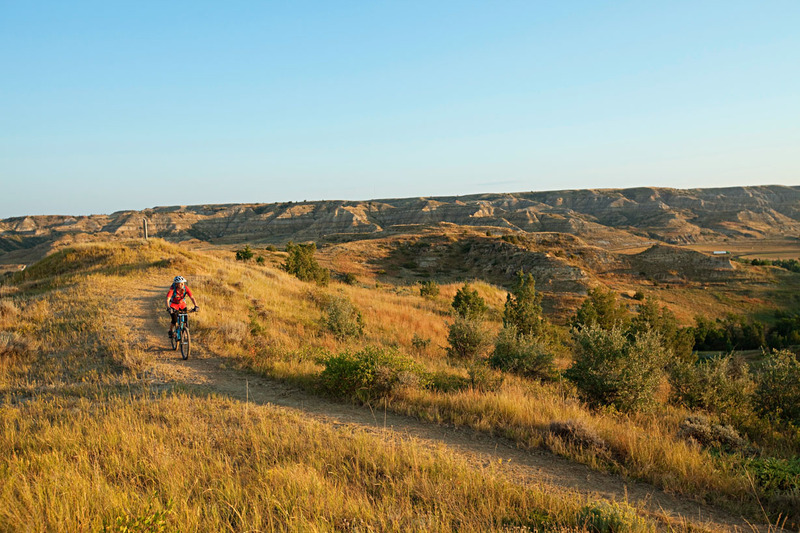 The rugged North Dakota badlands complement the laid-back charm of tiny Medora for a getaway that promises awe-inspiring views, comfortable accommodations, cowboy eats and even a musical revue. 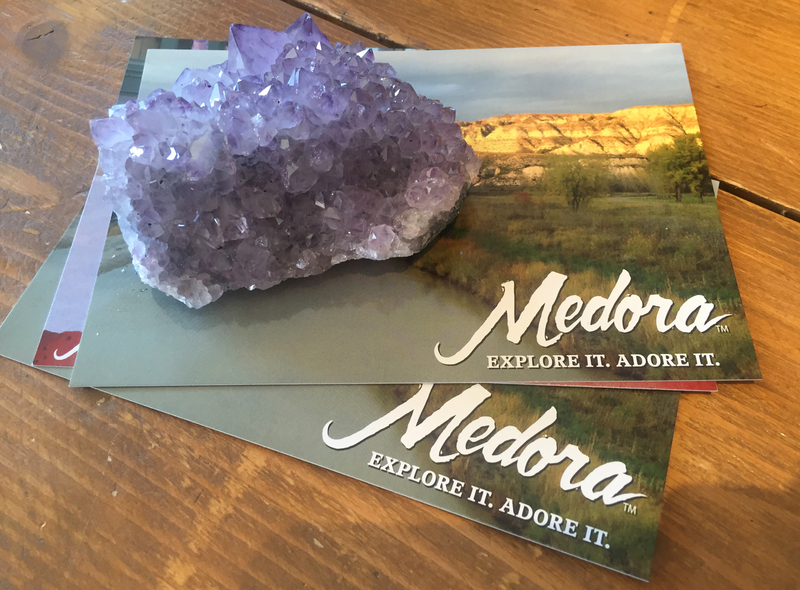 Near the Montana border, you’ll find plenty to explore in Theodore Roosevelt National Park and Medora, the town that sits at the entrance to the park’s South Unit. 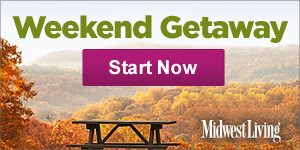 Here’s our guide for a long weekend getaway. Time for a change @ 3 p.m.
As you cruise west along I-94, two things will happen; you’ll switch to Mountain Time, and colorful buttes will suddenly rise up out of the prairie, tantalizingly out of reach. Pull off on Exit 32 to snap a photo from the overlook at the Painted Canyon Visitor Center. 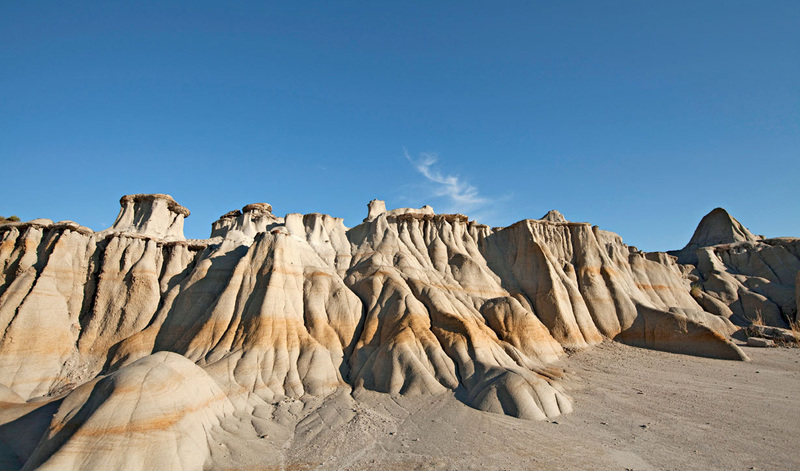 The stop makes a great introduction to the badlands bluffs, striped in shades of rust, sand and bone. 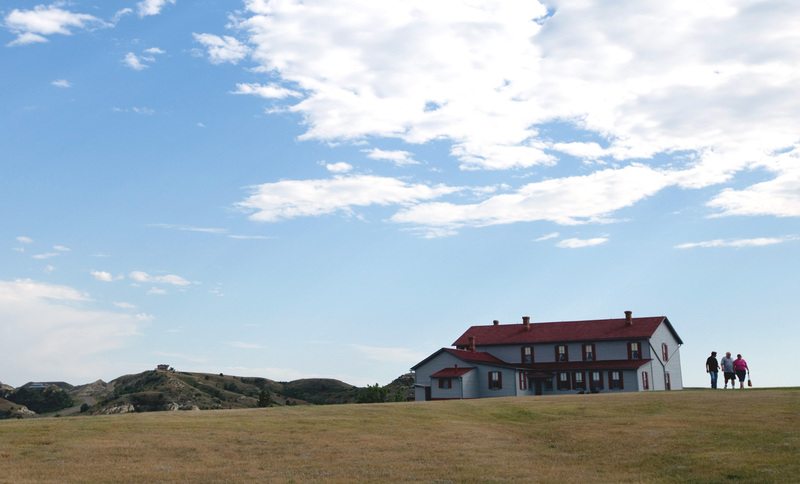 Presidential connection @ 4:30 p.m.
You’ll hear a lot about Theodore Roosevelt during your stay, since this where the 26th president retreated to hunt, ranch and rebuild his life after his mother and first wife died on the same day. Many of the historic sites in the region have a Roosevelt connection. The Rough Riders Hotel in Medora is no exception. The 1884 hotel—named for the volunteer cavalry unit Roosevelt led in the Spanish-American War—has been remodeled to include one of the world’s largest libraries of works by and about Theodore Roosevelt. Check into one of the eight rooms original to the hotel or a room in the newer addition. Fuel up @ 5 p.m.
Stroll down the wooden sidewalks and across town (the city is just a few blocks square) to Boots Bar and Grill. The easygoing eatery exudes a western vibe and features a menu that will delight carnivores. Try a buffalo or elk burger or a hearty rib-eye steak, the perfect choice for dinner in North Dakota cattle country. Nearly all the beer on tap comes from Beaver Creek Brewery, just over the border in Wibaux, Montana. 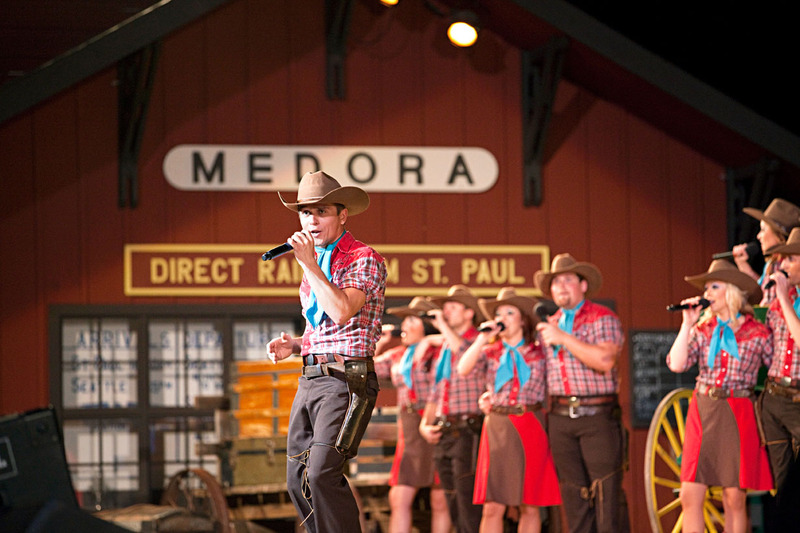 The Medora Musical combines a toe-tapping celebration of pioneer and cowboy history with starry-eyed Americana, set in an outdoor amphitheater in the hills. Even if this type of show isn’t usually your jam, it’s still a must-see. Half the people you meet in town will ask how you liked “The Musical,” so check off one of Medora’s marquee attractions on Day 1. Plus the sight of the bluffs painted with light as the music fades is a classic Medora moment. The high-energy production (more musical revue than a true musical) features dancers and musicians from all over the country. The show changes every year, so families making their annual pilgrimage (a tradition that often spans decades) will always have a new experience. Carbs and caffeine @ 8 a.m.
You’ll find a room full of diners lured by the heady scents of bacon, pancakes and the restaurant’s addictive French toast on the griddle. Fresh kuchen (a custard-like cake) hints at the region’s German heritage. 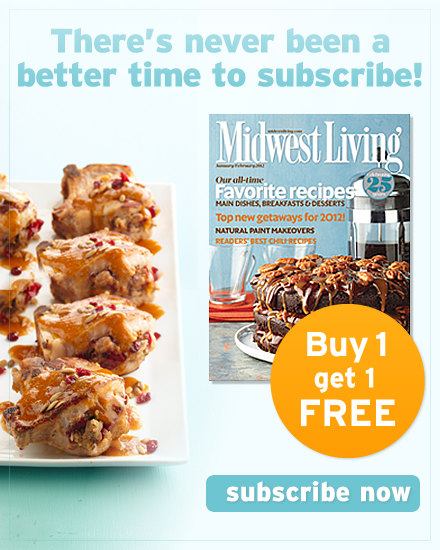 If you’re in a rush (or want to sleep in), order one of their legendary caramel rolls to go. For an extra pick-me-up, hit Hidden Springs Java down the street for a white chocolate iced latte or a strawberry banana smoothie. You can shop for North Dakota-made jams, jellies and gifts while you wait. Explore the park @ 9 a.m. Whether you’re hiking, cycling or driving through Theodore Roosevelt National Park (TNRP), you’ll enter through the entrance near the South Unit Visitors Center. It features the Maltese Cross Ranch Cabin built by Roosevelt. 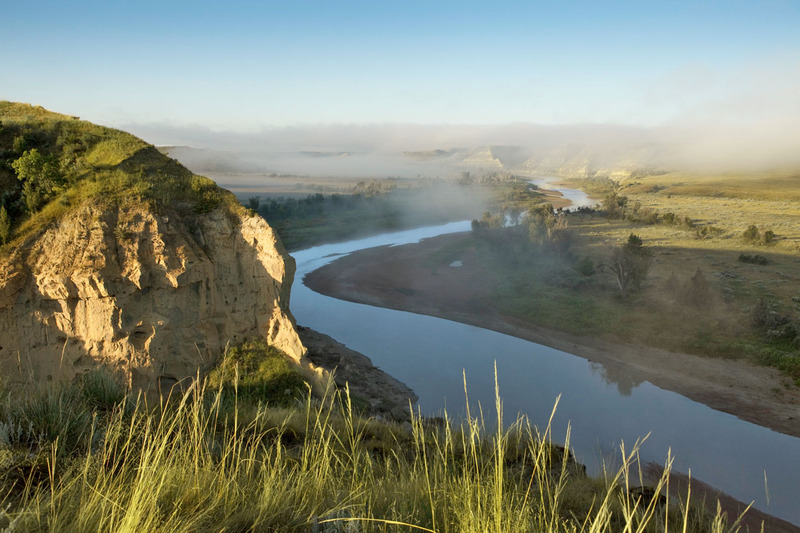 Vehicles and pedestrians share the park’s 36-mile scenic loop, which climbs to a series of overlooks, moves past bluffs where bison rest in the shadows and winds through wildflower-studded prairies where the park’s herd of wild horses graze. Even if you plan to drive to take in the sights (which takes a minimum of 90 minutes), it’s essential to get out of the car to truly take in this place. Don’t miss the chatty prairie dogs, the park’s unofficial welcoming committee. You’ll find prairie dog towns all over the route, but if you stop near Skyline Vista, you can get great photos of both the view and of these little creatures. If you’re up for a short hike, head to the .4-mile trail at Wind Canyon. The views of the wind-smoothed canyon and Little Missouri River Valley below are among the most beautiful in the park. For a slightly more difficult hike, explore 60 million years of geologic history and a coal vein depression that once burned for 26 years along the Coal Vein Trail. More advanced hikers should adjust their schedules to explore the remote Petrified Forest Loop, which features the eerie remains of ancient trees. Cyclists aren’t allowed off-road in the park, but bikes are a common sight on the loop. Loren and Jennifer Morlock at Dakota Cyclery can air up your tires or rent you a road bike if you left yours at home. Burger stop @ 1 p.m.
Back in Medora, grab a burger and fries al fresco at Maltese Burger. Everything at the outdoor burger stand is made fresh. One popular item: the Harold Breakfast Burger, which features an egg done any way you like it, two bratwurst patties and creamy garlic aioli on a brioche bun. Window shopping @ 2 p.m. 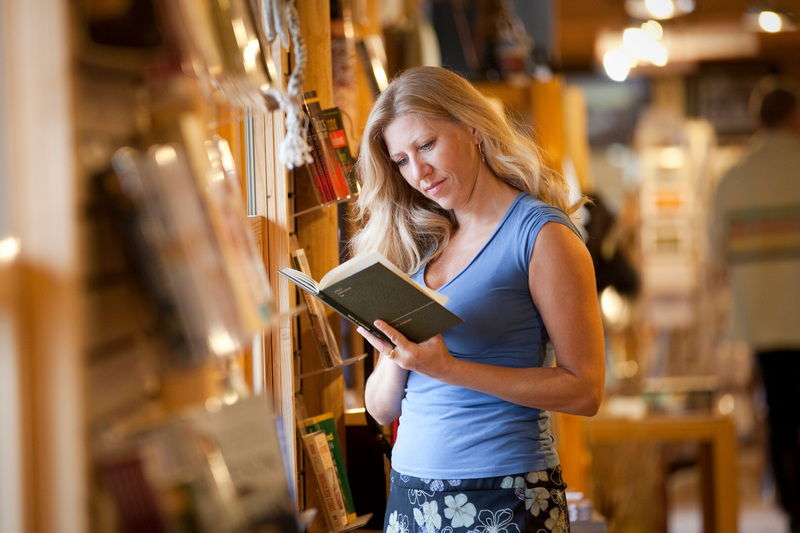 True to its name, Western Edge Books, Artwork, Music stocks only Western titles. Browse books about Sitting Bull and Sacagawea, pioneer narratives, modern campfire cookbooks and picture books about African-American cowboys or Native American warriors. Joe Ferris General Store, serving Medora since 1883, sells quirky gifts, jewelry and clothing. To blend in with the locals, stock up on cowboy hats, jeans and intricately detailed cowboy boots at Medora Boot and Western Wear. Sweet stop @ 5 p.m.
Savor a scoop of maple nut ice cream or blood orange sorbet on the outdoor patio at Medora Fudge and Ice Cream Depot. Or try fresh saltwater taffy from Rushmore Mountain Taffy, where best sellers include vanilla, cinnamon, chocolate mint and cheesecake. 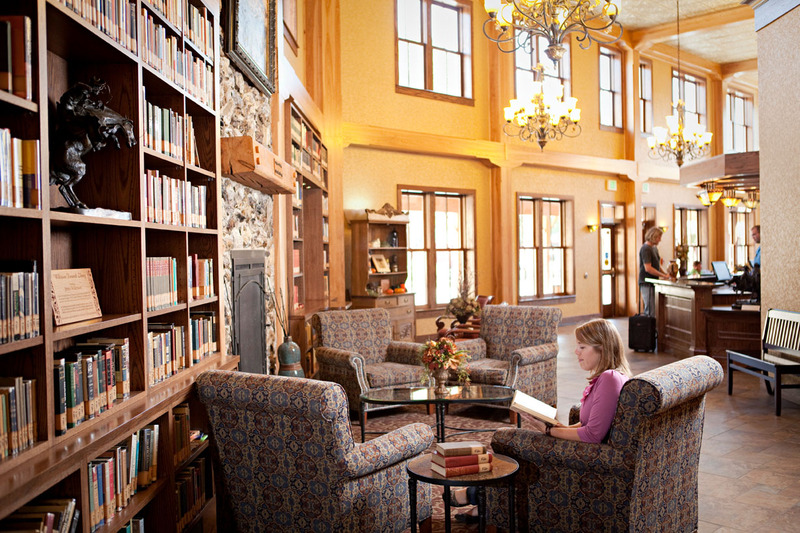 Dinner delights @ 6:30 p.m.
Theodore’s Dining Room in the Rough Riders Hotel is Medora’s premier restaurant. Start with a pomegranate martini in the lounge before moving on to the dining room, where a fire might be crackling under a bronze bust of Teddy Roosevelt. 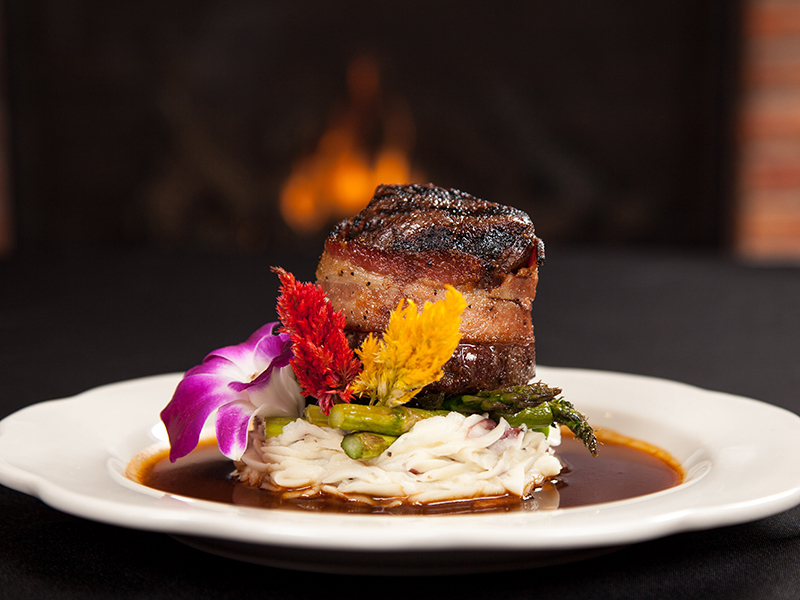 The bison osso bucco with horseradish cream is fall-off-the-bone tender and the bacon-wrapped steaks are legendary. 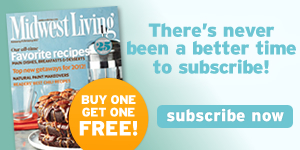 But the colorful roasted beet salad topped with goat cheese crumbles and blood-orange vinaigrette and a new walleye dish with a lemon glaze cream sauce tempt as well. Cowboy nightcap @ 9 p.m.
With swinging saloon doors and pistols for door handles, The Little Missouri Saloon and Dining Room is the place to indulge your Wild West fantasies. Order a whiskey in true cowboy style. The Farmhouse Cafe is a newcomer to Medora, but chef-owners Myron and Jodi Schweitzer’s rustic farm-to-fork restaurant is already a brunch hot spot. Choices include hearty omelets, North Dakota sausage and their signature Croissant French Toast—batter-dipped, deep-fried and drizzled with frosting and Myron’s housemade chocolate syrup. History lesson @ 10 a.m. The Marquis de Mores, who founded Medora, comes across as a hothead (he was a prominent duelist), but his gracious wife, for whom the city is named, was a woman ahead of her time. Medora Vallombrosa was an accomplished equestrian, musician and artist who spoke seven languages and was better with a rifle than most of the men she hunted with. She hosted guests from all over the world at Chateau de Mores, the family’s 26-room summer home in Medora. Historical re-enactors bring this era to life with free 20-minute presentations on the porch Saturdays and Sundays at 10:30 a.m., 1:30 p.m. and 3:30 p.m. in June, July and August. Allow another hour to explore the home, furnished with items from Medora’s time. The Maah Daah Hey Trail is one of the most difficult single-track mountain biking trails in the country, but hikers and horseback riders enjoy its jaw-dropping scenery too. For your final stop, head to Bully Pulpit Trailhead, three miles south of Medora, then west on the Bully Pulpit Golf Course. Park by the trailhead sign and make the short trek up the first bluff. You can continue on, passing the turtle signposts the mark the trail. But even if you don’t take another step, the view of the badlands and the Little Missouri National Grassland is an appropriately epic last look.